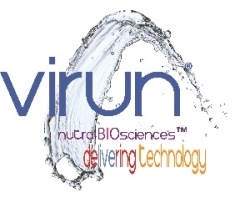 Virun, and Amway Open Innovation, team-up to express their interest and efforts to foster creativity, invention, and innovation with foods, beverages and supplements. New product development is more difficult today than ever before; increased regulations, competition, market saturation and consumer perception make it difficult to introduce new products that, not only stand-out, but are what consumers will purchase and re-purchase. Walnut, CA, February 11, 2014 --(PR.com)-- VIRUN and Amway Open Innovation will showcase their initiatives, processes and synergies with product examples in supporting the evolution of a novel concept to finished product. February 13th, 11:30 am Eastern Standard, Virun and Amway Open Innovation will discuss their take on new innovative food, beverage and supplement products entering the market. The webinar, titled, “Unknown-thoughts… How to reduce competition on the shelf” will elaborate the difficulty in releasing new products to market. Virun’s CEO, Dr. Philip Bromley, will share his experience working with industry and new product brands, the difficulty in competing on the shelf and the need for innovation in order to differentiate form others. Also contributing, Amway’s Open Innovation Senior Research Scientist, Dr. Deepa Shenoy will introduce and discuss how innovation as an open-forum is aspired – companies are looking for innovative concepts and Deepa will break-down Amway’s discovery process that welcomes innovation. Source-Omega’s CEO, Dr. Scott Doughman will join as well and give specific examples of innovation; from Source-Omega’s exclusive water extraction and other novel methods of creating niche markets where competition is reduced. Virun, Amway and Source-Omega will not only explore unknown-thoughts that relate to innovation, but, lend specific examples. Has the word, “Innovation” lost its meaning? From “throat-coating pectin” to Coconut Water with B Vitamins; it seems new food, beverage and supplement products entering the market are creating a sense of redundancy on the shelf. Food, beverage and dietary supplement companies are willing to invest in brands and markets but not in research and development as seen in pharma and biotech sectors. Consumers are knowledgeable and well-read so developing new and functional products today needs to match consumer expectations and be progressive. New products from smaller start-ups have very little space on the shelf to compete, let alone be visible. Also, co-packers and manufacturers typically give cost breaks with huge volumes, so to compete on price can be difficult in the beginning. Top-selling market categories of products are so saturated and, therefore, many times compete solely based on price. To compete in this environment, a new product must be truly different than others on the market. Innovation is a word that has transitioned from describing new and exciting things to a word used to describe me – to new products. Virun and Amway are examples of innovative companies that are both researching new and exciting technologies but also looking at industry partners for the same. From formulation to new delivery technologies, 2014 will be the year innovation stands-out and is more welcomed than ever before. We are a Nutra-BioSciences™ company formed in 2003, headquartered in Walnut, CA, with an emphasis on safe and effective delivery technology. Our aim is to focus on delivery both to the human body, via improving the efficacy of nutrients, compounds and drugs, as well as the delivery of water-insoluble nutrients into food, beverage and supplements, for example Omega-3 EPA DHA branded as OmegaH2O®, Resveratrol, CoQ10 branded as CoenzymeClear™, Astaxanthin branded as AstaxH2O™, PQQ branded as PQQwater™, Lutein, Phytosterols and Curcumin. Virun is a fully integrated research and production facility with manufacturing in CA and finished product processing in FL. Amway is the world's #1 direct selling business, according to the Direct Selling News Global 100. Founded in 1959 by entrepreneurs Rich DeVos and Jay Van Andel, and based in Ada, Michigan, U.S., Amway offers consumer products and business opportunities that supported by a global agribusiness, manufacturing and logistics supply chain. More than 900 scientists, engineers and technical professionals work in 75 R&D and quality assurance labs worldwide to support product development and create a culture of scientific excellence. Top-selling brands for Amway are NUTRILITE® vitamin, mineral and dietary supplements, ARTISTRY® skincare and color cosmetics, and eSpring® water treatment systems. Dr Scott Doughman founded Source-Omega in 2007 to build specialized independent algae omega-3 products. His scientific and regulatory experience in supply chain management, licensing and branding has successfully aided the development of new omega-3 products over the past six years. The company operates in Chapel Hill North Carolina and Mason Ohio. In 2012, his strategy, substantiation and marketing helped launch SOURCE OIL™, a premium bulk algae DHA supply for commercial distribution to US manufacturers. Dr. Doughman has authored two peer review articles on algae oil omega-3s (Curr. Diabetes Rev., 2007; Int. J. Diabetes in Dev. Count., 2013). His insight into omega-3 metabolism has attracted attention in the scientific community and he understands the global need for omega-3 DHA. Source-Omega funded the recent review study (Doughman et al., 2013), building consensus into algae oil omega-3 utility and safety for the public health. Just some key points of "Unknown Thoughts" webinar regarding food and beverage innovation; featuring Philip Bromley of VIRUN, Dr. Deepa Shenoy of Amway and Dr. Scott Doughman of Source-Omega.